There is a cute story about this photo. 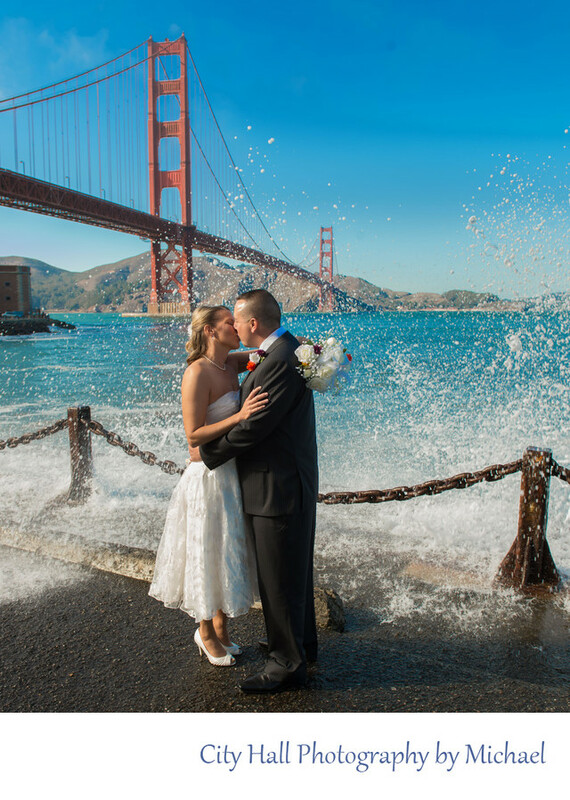 This fun loving couple really wanted to get a great shot in front of the Golden Gate Bridge. The only problem was that despite the nice looking day, it was incredibly windy and the surf was definitely up! Before we posed them close to the water I warned the couple that standing by the edge might result in them getting wet. The bride immediately replied that if a wave happened to hit it would make a great photograph. Moments later that exact thing happened and the couple got drenched. We got this great photo and the couple were good sports about it. The first question the bride asked after the wave hit was: "Did you get the shot?"